Yes, again with the chard. What can I say? We have a lot of it at the moment. Which is okay with me because I’ve found some pretty good ways to cook it. This time, in a pie. A yummy pie. Or maybe this would be considered a quiche because of the eggs? I don’t know and I really don’t care cause it’s good no matter what it’s labeled as. Quick note about the crust. It’s made out of flour, yogurt, and water and it does its job as the crust and keeps the pie together (and it’s strong enough it hold it if you want to eat it as a pizza.). However, don’t expect a flaky crust that you can simply eat by itself. Not to say it’s not good, of course. But if you need a buttery crust, you might want to try a different crust recipe. Preheat the oven to 350 degrees. Heat oil in a deep skillet. Add and sauté the garlic cloves, onion, and chard stems for about 8 minutes. Add in the chard and cook until wilted. Add in thyme, rosemary, red pepper flakes, corn, and pimentos and cook for 3 more minutes. Next, add in the shredded cheese. Pour the chard mixture into the yogurt crust (Look below for the crust recipe). In a bowl. mix together 3 eggs and 1/2 cup milk. Pour the egg mixture over the chard mixture. 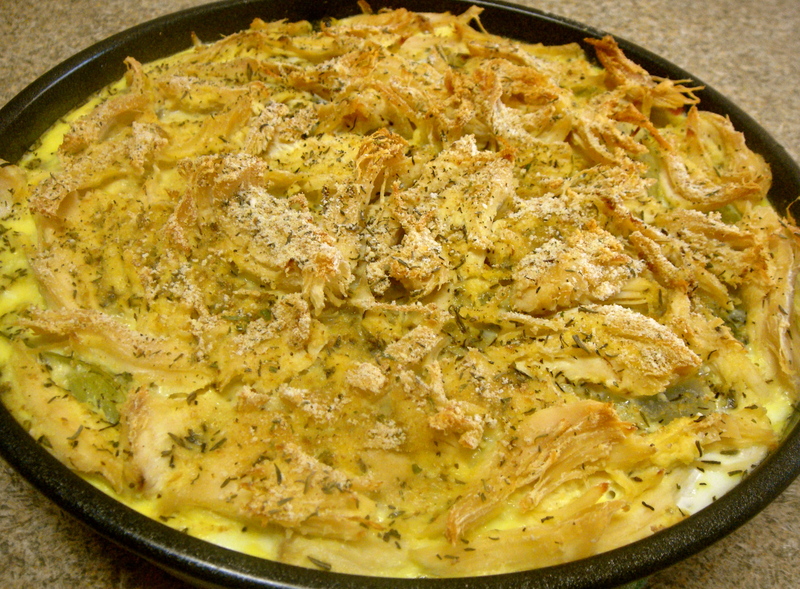 Top with a layer of shredded chicken/turkey and sprinkle with breadcrumbs and more thyme. Bake for 45 minutes. To make the yogurt crust, combine the flour, yogurt, and water. 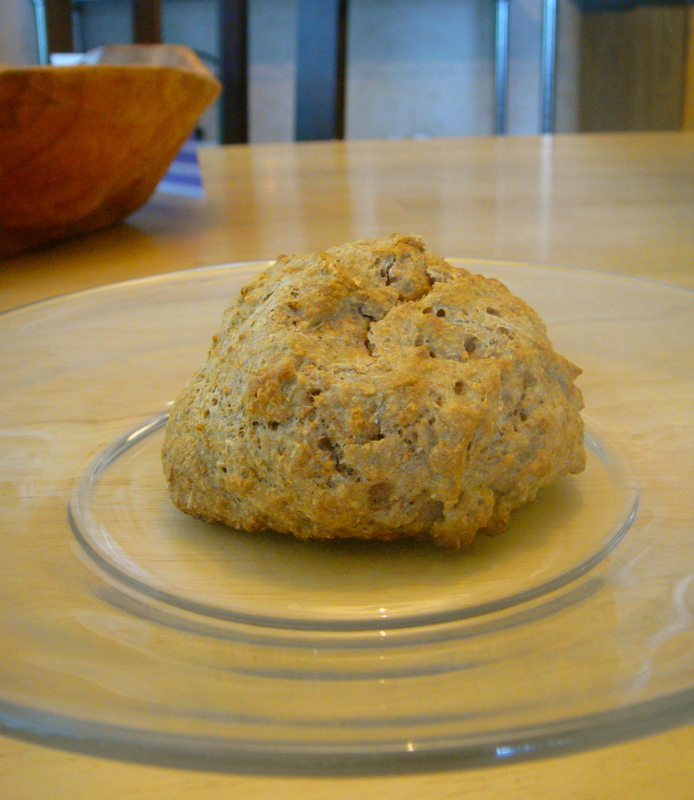 Form a dough ball, adding a little extra water if needed. 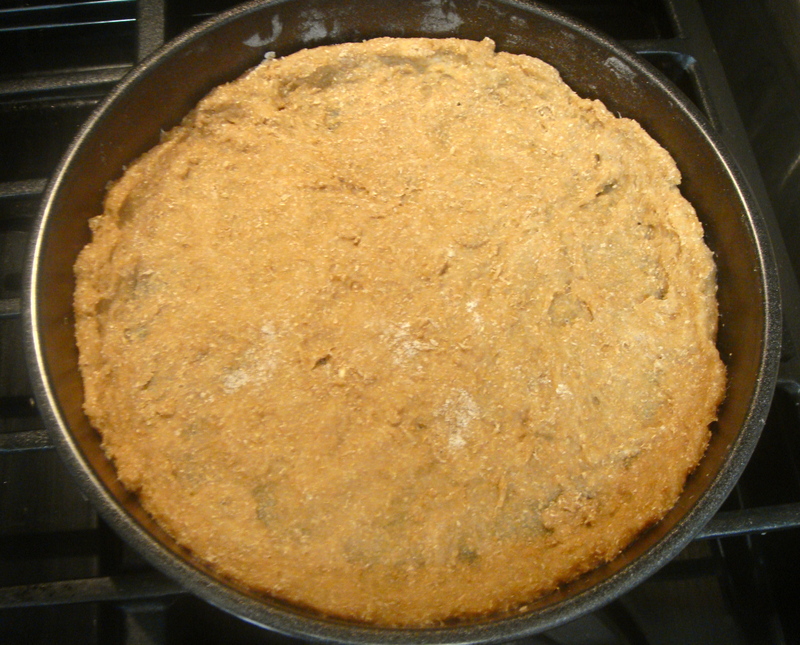 Place in a 9 inch pie pan and spread until the dough reaches and climbs up the sides. Bake for 8 minutes in a 350 degree oven to harden. Along with chard, which I experimented with last week, my mom also picked up kale at the local co-op. Unlike chard, however, I knew what kale was. We also had tomatoes laying around, so I decided to get creative and threw this together. If you’re not a big balsamic vinegar fan, decrease the marination time, or simply leave it out (and douse in olive oil instead?) Either way, it’s a great and impressive-looking appetizer. Cut tomatoes into thin slices and arrange at the bottom of 1 or 2 bowls. Pour on balsamic vinegar and let soak in a refrigerator for 1 hour. 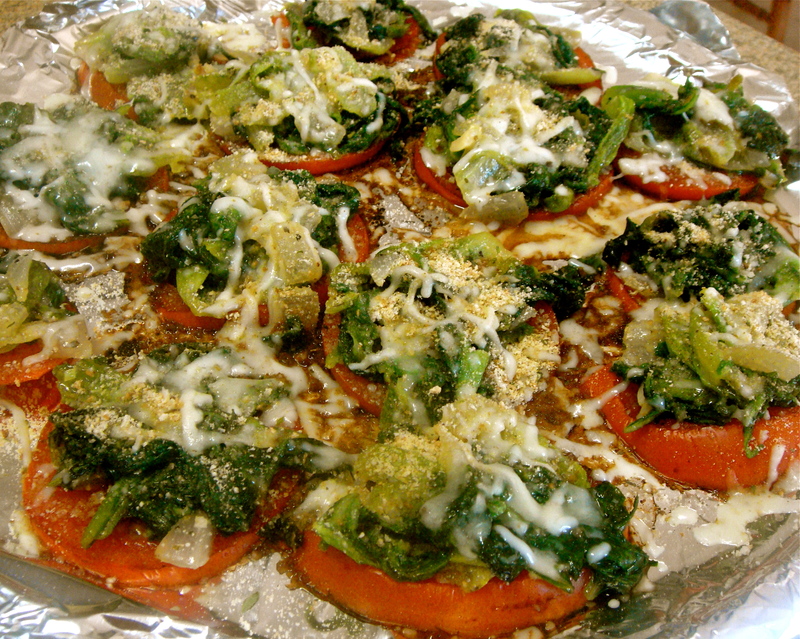 After an hour, place each tomato slice on a baking tray covered with aluminum foil. Sprinkle with pepper and transport the tray to a 350 degree oven and bake for eight minutes. Meanwhile, heat oil in a pan and sauté the garlic cloves and onions for 2 minutes. Add the kale, little at a time, and cook until wilted. Mix in the 1/4 cup of cheese and the lemon peel, basil, and oregano. Once the tomatoes are done in oven, top each tomato with the kale mixture. Sprinkle cheese and breadcrumbs to the top and broil for 2 minutes. Before serving, sprinkle with more basil and oregano. This dip is super yummy and actually pretty healthy for you. Although it’s much prettier when you layer the foods, I recommend mixing it up once everyone has seen it. That way, it’s easier to get all the foods on your scooper. If you’re not like my family and are not a big spicy foods fan, you might want to omit the hot sauce and/or cayenne pepper. The dip can also easily be doubled if you’re serving a crowd. In a food processor, puree the black beans. Add and blend in yogurt, salsa, hot sauce, and spices. Spread the bean mixture in the bottom of a glass dish. Next, sprinkle with the diced tomatoes and chopped green bell peppers. Top with the shredded lettuce and cheese. Garnish the top with jalapeño slices, tomato slices, and crushed red pepper flakes. I served mine with organic tortilla chips, celery sticks, and strips of pepper (and also just ate some with a spoon). 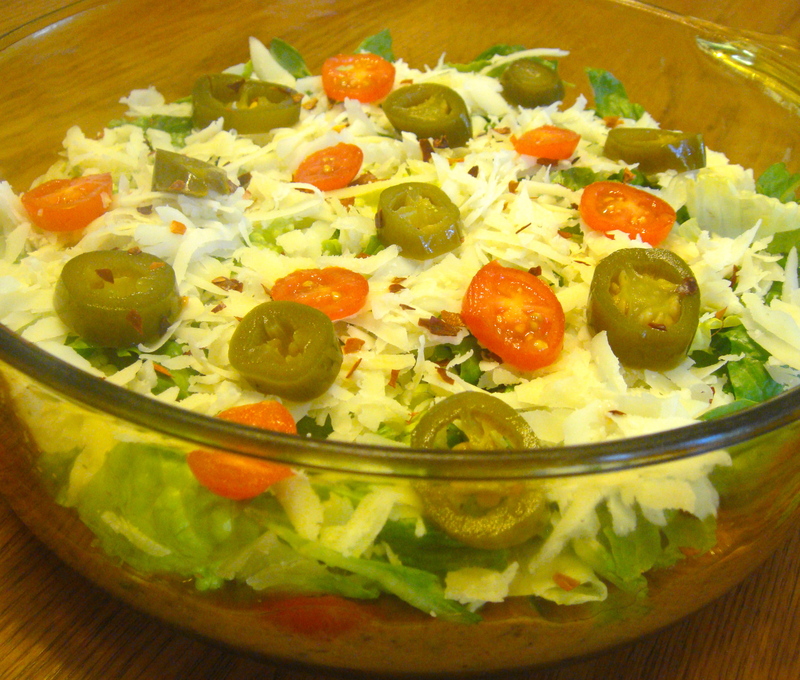 If you are not serving the taco dip it right away, chill in the fridge. Whenever possible, I try to avoid boiling foods- especially fruits and vegetables- because it takes out the nutrition. Scanning the web, I was disappointed to discover that all of the applesauce recipes I found involved boiling. Therefore, I’m really proud I thought to try this method. 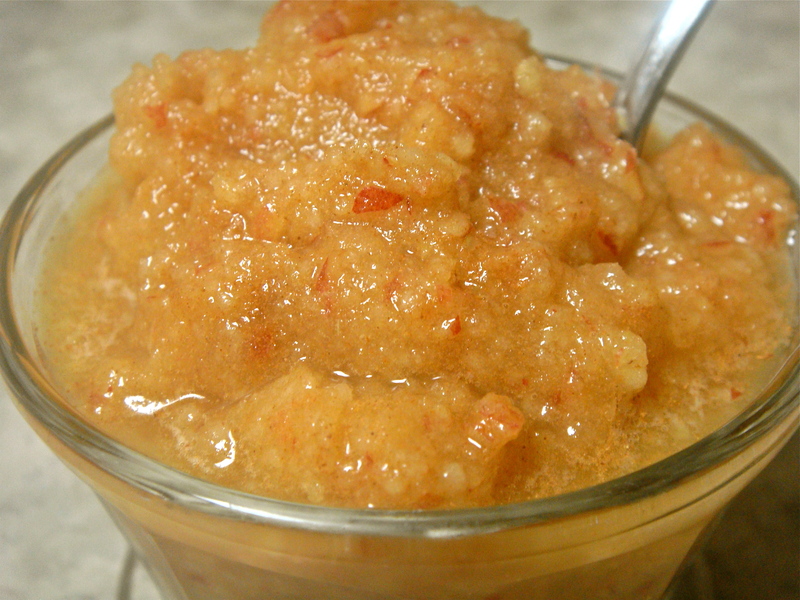 By freezing the apples, the applesauce was nice and cold when I was finished. Perfect, because hot applesauce just isn’t right and I hate waiting for things to cool. I added a lot of cinnamon to mine cause I’m in love with it. But If your’e not, just leave it out. Enjoy! Cut the apples into small pieces, place into a container, and freeze for at least 1 hour. When frozen, place apples in a food processor and pulse (at first, the apples will fly around- but just keep going! All at once, it”ll turn mushy). Once the apples stick to the sides of the processor, scrape them down and add lemon juice and 3 tbsp of the water. Pulse until the apples again stick to the sides. This time, scrape the applesauce into a bowl. Add and mix in the remaining 3 tbsp water and desired amount of cinnamon. Mix in your sweetener if you need to.